In this grant proposal we will consider strongly-correlated many body quantum systems from the point of view of entanglement. To define entanglement one can consider a ground state wave function of a d-dimensional system and carry out a real space bipartition. Integrating out half of the space produces a mixed state described by a reduced density matrix. The negative logarithm of this reduced density matrix corresponds to the entanglement Hamiltonian and its entropy to the entropy of entanglement. We will build on recent progress in the realm of auxiliary-field quantum Monte Carlo simulations for fermionic systems which allow the calculation of the spectrum of the entanglement Hamiltonian or even of the Hamiltonian itself. This quantity is potentially of great interest since its form is very often dictated by global or emergent symmetries. It is also a tool of choice to characterize topological states of matter. With our novel numerical tools we will seek to compute the entanglement Hamiltonian at finite and zero temperature for a variety of problems, including one-dimensional correlated electron models, spin systems across quantum critical points, and topological phases of matter. Being a stochastic method, and for the class of problems where the infamous sign problem is absent, the numerical complexity of our approach scales polynomially with system size and inverse temperature. 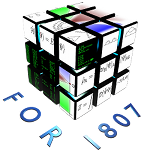 FOR1807: Advanced computational methods for strongly correlated quantum systems.